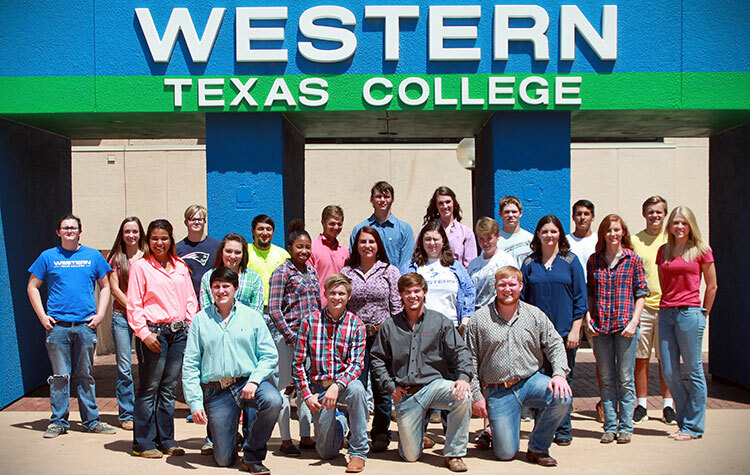 The Agriculture Department at Western Texas College is proud to offer a wide variety of agriculture courses to help prepare students for a career in the agriculture industry. Offered as an Associate of Arts Degree, the two-year agriculture program directly transfers to a four-year college or university. Students may begin working on degrees in Ag Business, Ag Communications, Ag Economics, Ag Education, Agronomy, Animal Science, Equine Science, Food Science, General Agriculture, Horticulture, Plant and Soil Science, Pre-Veterinary Medicine, Range Management, Wildlife and Recreation Management. Course Information is available in the Catalog. The Agriculture Department has outstanding Facilities as well as Meats Judging Team, Swine Show Team and Ag Club; and offers several Scholarship opportunities. For more information see our Ag Brochure or complete our Questionnaire.